Before settling on the police force, it is necessary to think over his decision and only after that to start searching vacancies. But a desire is not enough, you need to make sure you have the appropriate education, good health and excellent reputation. Please contact the personnel Department of the district police Department, this is where you will be able to tell about job vacancies. If you have a law degree, then search for vacancies much easier. With this formation you can serve as an inquiry officer, investigator, sometimes even operative. You can also get the interior Ministry in the presence of teacher education in the juvenile division. In the case of a positive response in the human resources Department, should be required to pass a medical examination and the psychologist who will offer to solve some psychological problems, the total number of questions of which reaches 600. If you are not able to go to any doctor the first time, try to cure the disease and pass it again. Most importantly, there were no significant contraindications or serious diseases. Until you pass a medical examination, employees of the personnel Department to check your bio, and it does not depend on the proposed positions. Studied not only the individual, but also all the relatives. When revealing the previous convictions, at least one close relative, you will not be able to serve in the police. If the medical Commission is passed successfully, the further you are drawn to the police as a trainee for a probationary period of 6 months. You will fix the mentor – the most experienced police officer. After you have passed the internship period, wait to be told about the appointment and about assignment of special ranks. Of course, the woman to enter the service much more difficult than a man, but if you have the desire and some training, it is an achievable goal. The probationary period can be shortened to 3 months if you zarekomenduete himself as a responsible and competent person. The Ministry of internal Affairs or Ministry of interior (official short name) is a law enforcement Agency of state government created to ensure the safety of the individual and society, fight crime, protect civil rights and liberties. Long service in the MVD was regulated by the Law "About militia" and, accordingly, employees of the interior Ministry were police officers. Under the new Law "On police", adopted in February 2011 and entered into force on March 1, police officers that have passed extraordinary certification, will continue to service the police now. On the basis of the tasks entrusted to the bodies of internal Affairs, service in the Ministry of interior provides that the police have additional rights and responsibilities compared with ordinary citizens. In this regard, not everyone wishes to serve in the Ministry of interior may be employed. 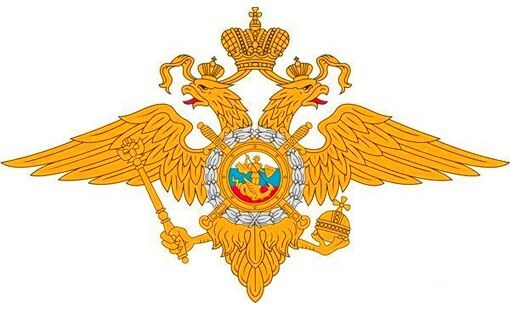 Position about service in bodies of internal Affairs provided the following requirements for persons wishing to serve in the militia (police): citizenship of the Russian Federation, legal capacity, no criminal record, not older than 35 and not younger than 18 years of age. Also, take into account personal, business and moral qualities of the candidate. If you wish to serve in the interior Ministry, first write a statement for consideration of your documents, fill out the form, write an autobiography and submit to the personnel division. Also provide a passport, documents about education, work record (if available) and military ID. Application form, questionnaire and requirements to writing of the autobiography is given in the Order of the Ministry of interior No. 386 dated 19 may 2009. If at this stage there were no barriers to your desire to serve in the militia (police), then in accordance with the direction issued by go through the military medical Commission, which will determine whether you are able for health reasons to serve in the Ministry of interior, and simultaneously pass the test in the center of psychophysiological diagnostics of professional suitability. In the next stage, check the standards on physical fitness. Also, be prepared for the fact that in respect of candidates verification of the information specified in the application form and curriculum vitae, as well as checking the place of residence of relations with neighbors and the family to establish personal and moral qualities. So do not hide anything and the questions are answered truthfully.When all checks are successfully passed, sign a contract about the service, take the oath and serve the Law! 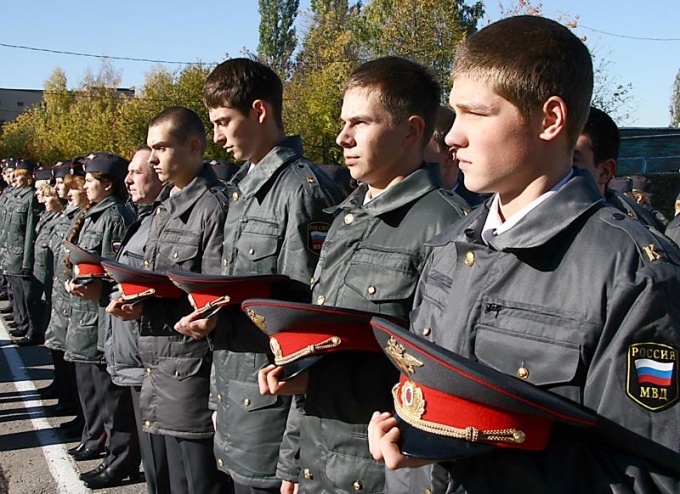 In schools of the Ministry of Internal Affairs take, as a rule, healthy young men who successfully completed the 9th grade of secondary school and wish in the future to serve in the bodies of internal Affairs. However, happiness can try and women if the desire to become a policeman much. Before June 1, apply to the admissions office of your chosen school police with a request to accept you for training. The statement write to the head of school and be sure to confirm the consent of your parents on your admission into this school. Your application will be forwarded to the personnel office of the territorial bodies of internal Affairs. There your own business will be designed in accordance with the requirements of the order of the Ministry of interior, will study and send a response, which recommend you for admission or deny you it. In advance (the sooner the better) start physical exercise. If you are a young man, run over a distance of 100 and 1000 meters at a time, pull at least 5 times on the high bar. If you are a girl, run over a distance of 100 and 1000 meters at a time and do strength exercises. Check the level of his intellectual development, performing special tests on-line, and you have to understand how to look these tests. The selection of candidates in school of the Ministry of interior involves psychological testing of this kind. Make your doctor hospital General blood and urine tests, a blood test for HIV and Wasserman, an electrocardiogram with a load and chest x-rays. Take the extract from the patient card for the last 5 years and information made to you about vaccinations. Go pay a medical examination, which is held in June in strictly certain days in the school and the police. Show them all the medical documents from the doctor and the test results. Practice in writing summaries that repeat the rules of the Russian language. Identify competent and detailed answer to the question of why you made the choice in favor of the schools of the Ministry of Internal Affairs. This question will likely be performed at the interview. To avoid pauses and uncertain answers, think about it in advance. Prepare for exams which involves the chosen faculty. Most likely, you will have to pass the common law and the history of Russia. No fluff, no pen! School police during the reception, wishing preference for boys who have completed the 9th grade of secondary school. Their health status must be suitable to teach in this school in the future. But the police school in Novosibirsk can take on training and girls. Here learn operational staff related to criminal investigation and combating of economic crimes. Police high school has a history and is popular, so the supply of it should be taken seriously. Admission is a rigorous selection of candidates, which must be prepare in advance. First write to the head of the school of police a statement in which you state your desire to study here, and give it directly to the admissions Committee of the school. Parents in the statement must indicate that they agree. Further, the documents are sent to the personnel office located in the bodies of internal Affairs, where is made a private matter of the candidate that meets the requirements of the Ministry of internal Affairs of the Russian Federation. Then it is alleged a private matter of the candidate, after which the authorities can recommend you for admission or not. The selection of candidates reveals their intellectual level by means of psychological testing, physical training in certain sports. Also, the school police in Novosibirsk conducts interviews of the candidate with faculty that test his knowledge in basic subjects, mainly the Humanities. Candidates are given a certain topic that they need to correctly record or in written form to present an excerpt of the text read. In addition, you must pass the medical examination, the timing of the passage of which sets police high school, passage paid. For a fee you must have common blood test for Wasserman, checking blood for HIV infection, electrocardiogram, fluorography, statements for 5 years from the medical record, data about the available vaccinations. To establish the intellectual level of development, the applicant is requested to take a test that includes questions taken from the program of Humanities secondary school. After passing the test you need to obtain their result, which indicates the number of points. Saint-Petersburg University of the Ministry of interior prepares professionals for the HR units of the Ministry of internal Affairs, bodies of internal Affairs , Ministry of interior, departments of psychological service of the MIA of Russia. Learning it is a prestigious and promising choice. Candidates for admission can be young people aged 16 to 22 years who have not passed military service. Also those who have served or passing military service under the contract, but has not reached 24 years of age. Submit a report to the commander of military unit no less than 6 months before the start of qualifying tests. Enter your data name of educational institution of the interior Ministry, the faculty and the specialty on which you wish to study. Submit the required documents:• curriculum vitae;• the characteristic from the place of study or work;• copy of educational document of the state sample;• the results of professional psychological selection;• three attested photographs of size 4,5x6 cm;• material of the special inspection of the interior Ministry and the FSB;• medical records (ECG, certificates from the narcological and tuberculosis and neuropsychiatric dispensaries, help, test results, radiographs of the paranasal sinuses, FLG in direct and lateral projections, blood sugar, HIV, and General biochemical tests, Wassermann reaction);• in the case if at the time of admission you are under 18 years of age, provide a certified letter of consent on receipt of your representatives - parents or guardians/caregivers. 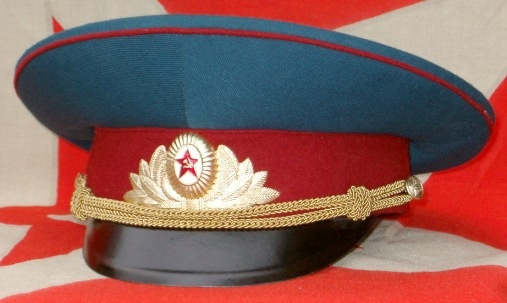 Eligible for benefits are: • orphans; • children of employees OVD, held or serving under contract;• persons under 20 years having one parent – the invalid of the 1st group;• persons of privates and commanding personnel who took part in the fighting;• persons who graduated from the Suvorov military school of the interior Ministry with satisfactory evaluations;• military personnel who participated in combat operations on the territory of the North Caucasus;• the police officers, held or serving in the Chechen Republic;• children of police officers serving in the Chechen Republic;• persons serving under the contract, if the total lifespan is more than 3 years. Eligible for benefits are: children-orphans; individuals up to 20 years living with one parent with a disability; citizens, dismissed from the service by reason of admission to the Institute; the children of servicemen who died in the line; children of military personnel whose parents dismissed from service and have seniority (over 20) as a result of service in the armed forces of Russia; the children of military personnel whose parents serve in the military forces and have seniority (over 20). Submit documents proving benefits:• a certificate or extract from the personal file, confirming the death of one parent;• certified copy of military ID and a certificate of combat veterans;• a certified copy of a military card with a mark about participation in hostilities;• a certified copy of a military ID and direction for training. Provide original documents upon arrival at the Institute, but no later than 2 days. Pass the medical examination. It is carried out for final confirmation of the results in provided you help. Go through a professional psychological examination. It is held usually in two stages: group testing and individual interviews. According to the results, you will satilites one of 4 groups for recommendations. Best result – the first and the second group of recommendations, as it is their members participate in the competition in the first place. Provide a certificate of the exam in the required subjects: Russian language, history, math, social studies. Give additional oral entrance test in social studies. Pass the test of physical fitness. As a test turn pull-UPS, run 100 meters and women's 3,000 m.
Pass screening test for use of narcotic drugs and psychotropic substances. It is carried out with your consent and the consent of your parents (guardians/caregivers). Payment is made at your expense. Admission to higher educational institutions of the Ministry of internal Affairs on a number of parameters different from the procedure of submission of documents in other universities. First of all, it is associated with the specifics of future profession of the students. For admission in educational institutions of Ministry of internal Affairs must have not only a high passing scores on the required disciplines, but also in good physical condition and spotless biography. Therefore, the package of documents provided by the applicant of the admissions Committee must contain a high school diploma, references from previous places of study, a certificate from the district police Department. The latter document confirms that the prospective student is not registered in law enforcement. And help desirable to order for the educational institution, and not in place. Great value when applying to Universities, the Ministry of internal Affairs also have documents (certificates, diplomas) victory in the Olympic games, the Olympics and other competitions. A few months before enrolling, you must know the standards for physical fitness and to begin to prepare for their surrender. In parallel, the need to start preparing for the entrance exams. To do this, the entrant needs to choose a future specialization. A set of entrance tests depends on the Department. Russian language is a compulsory exam, but the history of Russia and social science shall be in accordance with the selected Department. Educational institutions of the Ministry of internal Affairs accepted the results of the exam. In addition to the physical training and the entrance examinations the applicant will have to pass a psychological screening, which will determine the professional suitability of the student for service in the Ministry of interior. The purpose of this screening is to identify persons prone to violence and aggression and to eliminate them at the initial stage. And at the stage of medical examination the Commission conducts a survey of all applicants to determine fit whether the applicant for the service in the interior Ministry. In addition to the evaluation of health status examine all applicants regarding the use of narcotic drugs and psychotropic substances. Today in the organs of the police there is an acute shortage of staff. In this regard, the procedure of reception of citizens into the ranks of the interior Ministry, wishing to enlist as a rank and file police officers and rank of the officer has changed. A citizen who wishes to enter the service of the police must: have Russian citizenship, have no current and closed criminal records, be of working age, have excellent health and maintain a positive moral lifestyle. If a few years ago, for males, military service was a requirement, now, gave you the duty to the Motherland or not, does not matter. The availability of complete secondary education is necessary. 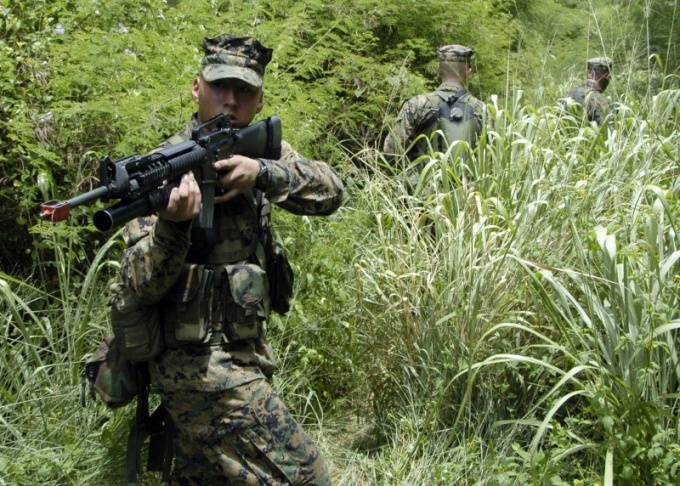 For those wishing to enlist in the officer corps, there are special requirements. For the police service in the officer rank must higher education. It is possible to obtain, already working with the police in the rank of private. All officers are given the opportunity to study on a budgetary basis at one of the many branches and foreign Affairs Institute, at the correspondence Department. Well, if you have a desire to move up the career ladder, there is the possibility of obtaining second higher education, but only on a commercial basis, albeit at quite reasonable prices. As before, the service received the military officers in the rank that they had when serving in the army, as an army rank cannot be undone. Recent reform has expanded the boundaries of education in order to get a job in the armed forces. 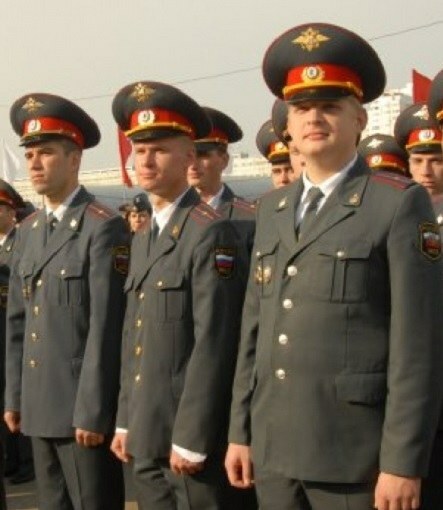 Now police officers can become any citizen having a specialized diploma civil University of the Russian Federation. To be an investigator, as always, be sure to have a law degree, but for the inspector on Affairs of minors previously required two degrees - in law and education, now required only the presence of the diploma of the pedagogical University. Also, when applying for a job you may be required some experience. Therefore, it is desirable when studying at the University to complete the internship in the police Department in which you wish to work on and show their best side. After employment, you expect a 6-month internship and pillar College, so that the lack of seniority, subject to the successful passage of practice I can close my eyes.